Mould is a fungus that grows in nature. Once your house becomes moist or wet, mould proliferation takes place; where airborne spores will develop into a string of colonies and turn into large patches of mould. You can notice them in different forms of black spots, blue, green, white, and red stains on surfaces. A distinct discoloration of walls and ceilings is a sign of mould problems in your property. AWARE provides mould removal and mould remediation service, which aims to identify the cause of the mould problems and offer the best recommendations and solutions for our valued customers. Our mould remediation experts use cutting-edge technologies and equipment that will work against mould outbreak and spore germination. Through this, AWARE can give you a hundred percent guarantee that you will get the best results of the service. Aside from the equipment, our professional mould remediation system strictly follows the guidelines and requirements when dealing with biological hazards, leaving your home safe and free from dangerous mould. Infestation of mould generally occurs from condensation, lack of ventilation or moisture ingress from building or plumbing defects. In some circumstances, hyphae is embedded in the material that’s why it can’t be easily removed or killed. The assessment of what can’t be remediated is undertaken via removal of a section of a wall or sampling, only if necessary. 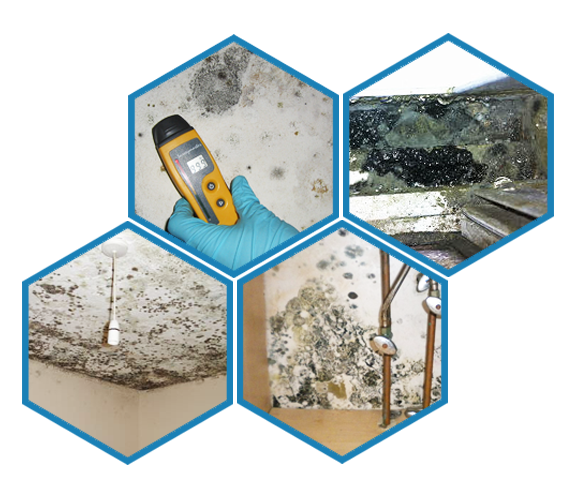 Assessing Mould Contamination: The first step is to assess the root cause of the mould problem, identify the extent of mould damage, and recommend ways on how to address the mould problem, and prevent it from reocurring. Scope of Works: This is the stage where we plan how to conduct the removal, cleaning, disinfection, and the repair of the affected surfaces. Moreover, this is also the stage of providing outlines of estimated costs and time required. Address Water Ingress Issues: Water ingress could be coming from leaking pipe, roof, or gutter. It could also be an outcome of poor drainage or ventilation. These water ingress problems trigger the mould proliferation, hence, it is important to identify where the problem originates. Contain Mould Issue: We seal off the affected areas to avoid the spread of mould during the remediation process. 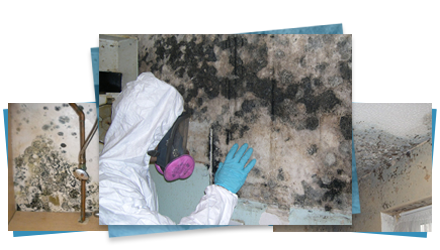 Getting Rid of Mould Infestation and Mould Odor: The primary process of mould remediation is to physically remove the mould and fungi from surfaces such as gyprock, concrete, timbers, stonework, roofing, and brickwork. Out treatment is formulated to get to the hyphae, or the root system of the visible mould. Once the mould has been eliminated, painting of the surfaces is usually not required unless moisture has caused the paint to peel or flake. Moreover, the next stage of the mould remediation is to eliminate the visible mould spores. However, in some instances, physical removal may not be suitable; such as places with voids, cavities, and narrow gaps between surfaces. Therefore, methods of sanitisation and other techniques can be the best option for killing the mould and fungi material. Drying: After the removal, we then dry out the affected surface to remove the remaining water or moisture in the air, avoiding future growth of mould. Structural Restoration: From the removal work to restoration, we also organise the rebuilt, replastering, and painting of the structure. Reporting: We also provide final reports of the service, providing assistance with insurance claims and quicker settlement process. When you realize that mould has infested your property, it is highly recommended to take action immediately. AWARE is the trustworthy company that provides highly effective solutions to commercial and residential customers. We possess the training and expertise essential to optimise the whole process of mould remediation for you. Contact AWARE to know more about our Mould Remediation Service. Call now on 03 95805326.